I recently treated myself to some Spring shoes, hoping to will the good weather to come maybe a little faster?! 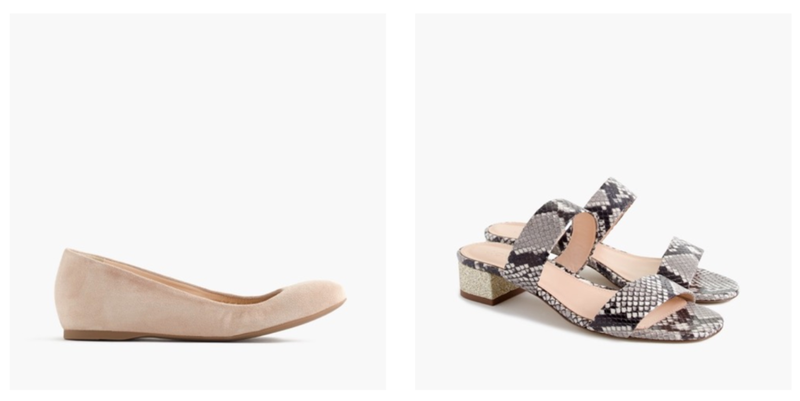 Someone turned me onto Loeffler Randall, a beautiful boutique brand from husband/wife duo Jessie Randall & Brian Murphy. I must have been living under a rock to miss them! Their gorgeous original designs are sold in 250+ retailers worldwide and they won a CFDA award. They have such flair! I got the Vera Ruffle Slide Sandal in black — they are so comfortable and polished, I’m tempted to get another pair in melon. 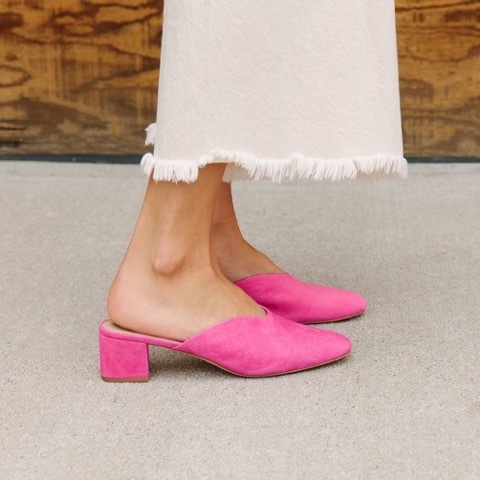 For a more basic but spring-like shoe, I ordered the Cece ballet flat from J. Crew — which apparently has been the subject of some controversy, as J. Crew had moved factories last year and disappointed legions of loyal Cece-fans. NOW the shoe is back to being made in Italy and has a great price point ($118) for a stylish runaround shoe.